VANCOUVER — When the election results from yesterday’s Special Election update at 4 p.m. today, administrators in the Vancouver School District were waiting with fingers crossed to see if they had reached the magic 27,000 voters needed to pass the district’s $458 million building bond. Fortunately for the district, that confidence was not misplaced. As of 2:17 p.m. on Thu., Feb. 16, the Vancouver School District had received ballots from 28,897 voters. The bond is currently passing with 20,152 yes votes (69.74 percent) and 8,745 no votes (30.26 percent). These numbers meet the state’s supermajority rule, which requires school district’s to have 60 percent plus one vote in order to pass a bond measure. The voter turnout numbers could have meant a loss for the district despite the winning votes if they hadn’t reached the 27,000 voters needed. That’s because another Washington law states that school bond measures can only pass if at least 40 percent of the voters who turned out in the last general election cast votes in the Special Election. 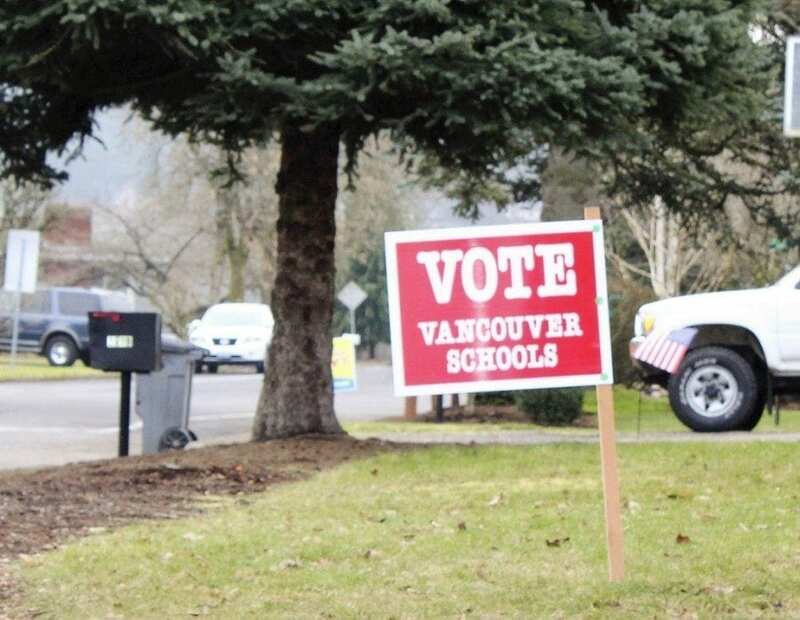 For the Feb. 14 Special Election held yesterday, that meant that the Vancouver School District needed 27,000 voters — 40 percent of the number of district voters who came out for the General Election in November of 2016 — to give a thumbs up or down to the bond measure. 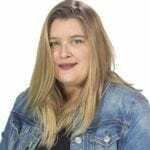 At 2 p.m. on Wed., Feb. 15, the total number of votes counted for the Vancouver School District was 24,293, about 2,700 votes short of the required 27,000. But Nuzzo had said Wednesday afternoon that the Clark County Elections Office still had 11,000 votes that were uncounted and that the district expected a large percentage of those ballots to have been cast by Vancouver School District voters. “Of the seven school districts (with bonds or levies on the Feb. 14 ballot), we’re the largest as far as enrollment, so we’re confident that we’ll get to 2,700,” Nuzzo said earlier Wednesday afternoon. The district’s bond will replace seven aging school buildings — King, Marshall, Ogden, Truman and Walnut Grove elementary schools, McLoughlin Middle School and the Fir Grove/Vista program — alleviate overcrowding, partially remodel Columbia River High School and stadium, renovate several other school buildings, upgrade technology, create more community-friendly spaces, build a new Vancouver iTech Preparatory building, remove portables to add permanent classroom spaces at several schools and upgrade school building roofs, floors, window and heating/cooling systems throughout the district. The last VPS bond measure passed in 2001 and the district has two levies out. If the $458 million bond passes, the combined local school tax rate in 2018 will be $4.43 per $1,000 of assessed property value. That includes the combined bond rate of $1.52 per $1,000, the 2016-approved levy, which costs $2.68 per $1,000, and the technology levy, passed in 2013, which costs 23 cents per $1,000 of assessed value. As of 2:17 p.m. on Thu., Feb. 16, all of the other school levies and bonds on the Feb. 14 Special Election ballot, with the exception of the Hockinson School District capital levy, were passing. The Battle Ground School District four-year maintenance and operations replacement levy is passing with 8,882 yes votes (53.69 percent) and 7,662 no votes (46.31 percent). The Camas School District asked voters to approve both a replacement maintenance and operations levy, and a replacement technology levy. Both are currently passing, the maintenance and operations levy has garnered 5,143 yes votes (68.34 percent) and 2,383 no votes (31.66 percent), and the technology levy has received 5,198 yes votes (69.24 percent) and 2,309 no votes (30.76 percent). The Hockinson School District asked voters to approve a capital levy for athletic improvements at Hockinson High School’s main athletic field. This levy is currently failing with 1,509 no votes (59.32 percent) and 1,035 yes votes (40.68 percent). Voters in the Ridgefield School District were asked to approve a $78-million bond with a term of 21 years, which will be used to pay for capital projects such as new school construction, renovation, replacement or other school improvements. The bond is currently passing with 3,813 yes votes (68.75 percent) and 1,733 no votes (31.25 percent). The Washougal School District asked its voters to approve both a replacement maintenance and operations levy, and a replacement technology levy, and both are currently passing in Clark County. The maintenance and operations levy has received 2,308 yes votes (62.4 percent) and 1,391 no votes (37.6 percent), and the technology levy has received 2,355 yes votes (63.8 percent) and 1,336 no votes (36.2 percent). The levy in the Woodland School District is also currently passing in Clark County with 171 yes votes (53.61 percent) and 148 no votes (46.39 percent).